Highly efficient and energy-saving – Michelin-starred chef Juan Amador values that in his restaurants, too. 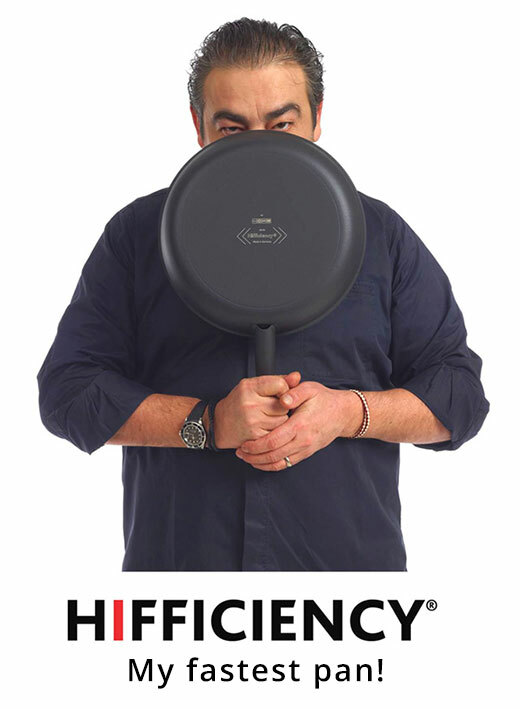 Hifficiency® is the new brand for non-stick-coated accessories for cooking, frying etc. For customers in professional catering/food preparation, we offer a full range of coated GN containers, deformation-resistant multi-purpose baking plates and extremely fast, robust pans – everything they truly need in the oven or on the hob. HIFFICIENCY® Professional for Cooking is a completely new development that aims to achieve rigidity despite lightweight construction, as well as optimum heat conductivity for event heat distribution and the fastest reactions. The coatings also impress with excellent heat conductivity and browning properties. HIFFICIENCY® products work faster and better in use. They save time, energy and therefore money and achieve better results. At the heart of our products are our own patented coatings DURAPEK® and DURAQUARZ®. These exclusive coatings are more robust, more heat resistant and more durable than any other coating on the market. The result is products with unique (permanent) non-stick properties. In addition, only our coatings contain absolutely no solvents or other unwanted substances (e.g. NMP, PAI, PFOA, (bis-)phenol) that outgas during use and cause health risks – up to at least 300°C or 450°C for our fastest pans. All production (including the baking sheets and multi-purposes baking plates that remain in the oven) takes place on the new, modern systems at acs in Wilhelmshaven. The patented DURAPEK® high-performance coating is used for cooking accessories for use in ovens up to 300°C. It is solvent-free and lye-resistant, with outstanding non-stick effect, excellent durability and optimum glide properties. 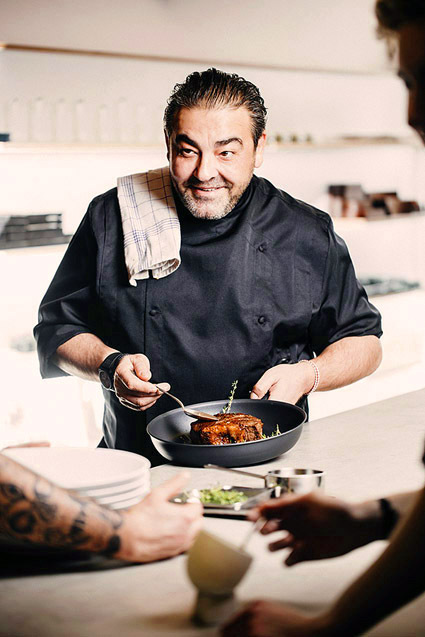 Michelin-starred chef Juan Amador also uses our accessories for meat, fish, vegetables and pancakes, achieving perfect results on all hob types, including induction. Also the only product of its kind in the world, the DURAQUARZ® non-stick coating makes frying and grilling with the HIFFICIENCY® frying pans and oven shelves easy. As well as the network of dealers currently being built up, end consumers can use the online shop (multispeed.de). Take a look at the information video below and our catalogue. The accessories in our Cooking range are available from our specialist dealers. Information video: Michelin-starred chef Juan Amador cooks with Hifficiency products in his Michelin-starred restaurant “Amador” in Vienna, accompanied by Dr Stecher.